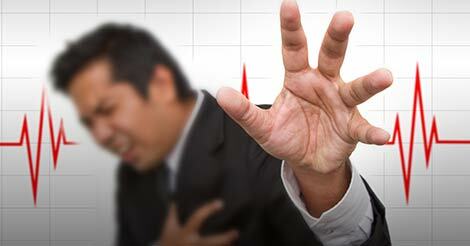 Heart attack is also known as Myocardial Infarction (MI). It occurs when the flow of blood supply to a part of the heart is blocked. Early detection of heart disease helps heart attack prevention. How to Prevent Second Heart Attack? Heart attack prevention is possible through bringing in healthy lifestyle changes, taking medications on time, and by going for a regular heart check up. Eat fish - Fish is a good source of protein, omega 3 fatty acids and other nutrients, which reduces the risk of heart diseases. Eat more vegetables, fruits, whole grains, and beans - Plant foods help in fighting the heart disease. Avoid artificial trans-fats completely. Items such as bakery products, fast foods, frozen pizza, etc. increases "bad" (LDL) cholesterol level. Limit saturated fat to no more than 7% - 10% of calories. Avoid packaged foods. Increase the quantity of protein in food with fish, poultry (without the skin), lean cuts of meat, low-fat or fat-free dairy, nuts, beans, tofu and legumes. Reduce salt- to control the blood pressure. Heart attack prevention diet goes a long yet an easy way to keep healthy heart. Follow the healthy heart attack prevention tips with exercising, right food choices and regular checkup. Stay Fit Stay Active, make heart healthy by healthy food choices, adapt to healthy living lifestyle. Be pro-active and get a routine heart health checks. 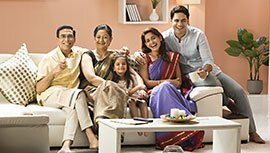 These checkups will help in assessing risk factors for any illness, early detection, resulting in proper treatment and in some cases illness can be completely cured. Get to know your health status through comprehensive and customised health check up packages provided by Indus Health Plus, the preventive health check up specialist. To know more about health checkup package details fill the query form and we will get back to you at earliest.